This necklace is designed and handmade by us at Cupcakes & Chopsticks. 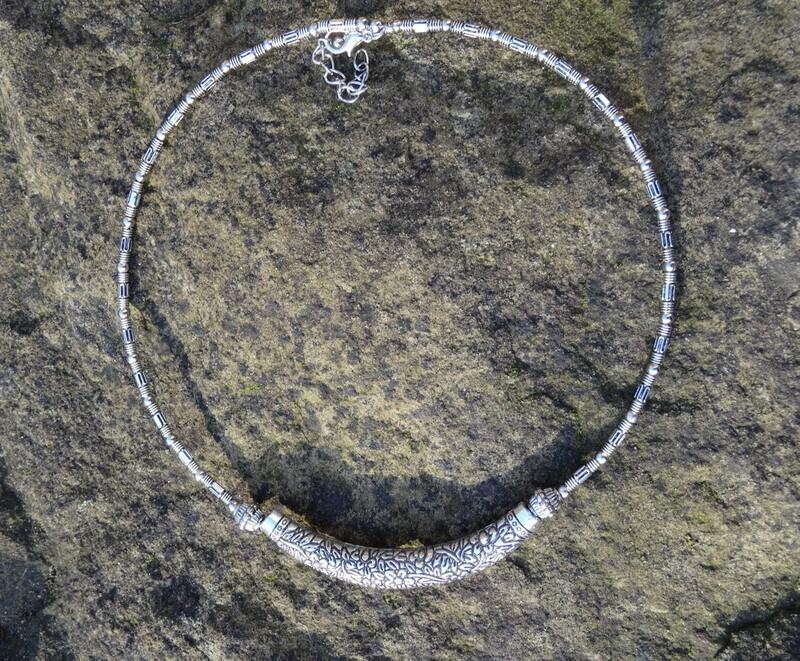 It is made with a silver coloured flexible choker style chain and is adjustable in length from 17 to 19 inches. The charm is an intricately designed band which follows the line of the choker and comprises a pattern of engraved flowers and leaves. It is inspired by our travels across Asia. This is fixed in place and runs for a length of 7.5 cm with a fancy bead on either side. It is perfect for summer parties and festival chic. 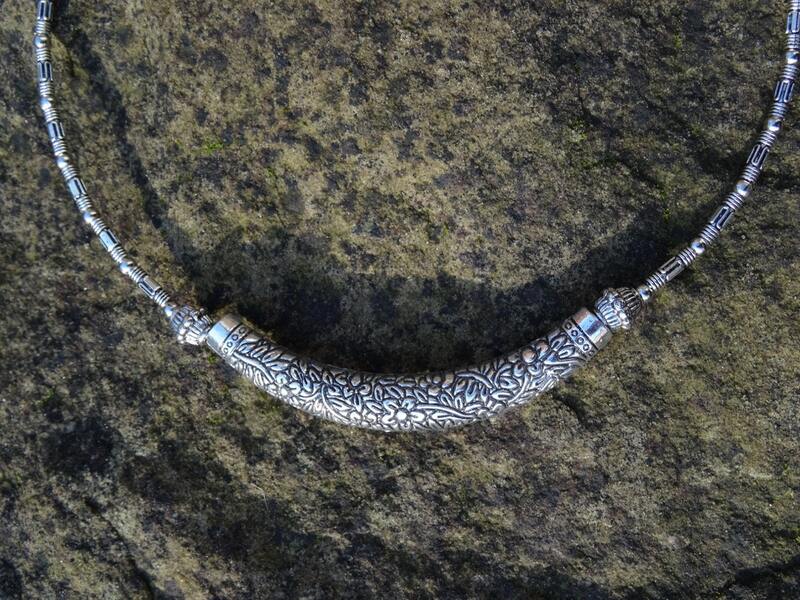 Please note, this necklace is not made from 925 sterling silver.